ON SALE ITEMS ( OTTO ) ::: Furniture for the Home, Office, Home Office, and More at Pure Design Online! Announcing the arrival of "Otto": a beautifully sculpted ottoman. Designed by Iglooplay's founder, Lisa Albin, Otto is multipurpose and multigenerational. 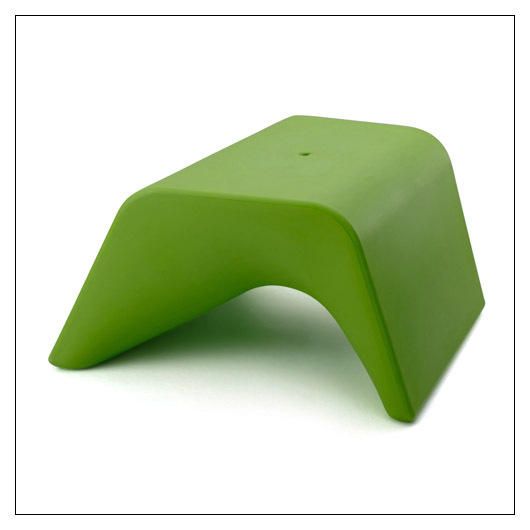 Right side up, Otto serves its obvious function as a dynamically shaped ottoman or bench. But when flipped, the form features a roomy scooped out interior that is perfect for planting. Otto can be used for residential, commercial, contract, hospitality, educational, corporate interiors or even poolside! Otto compliments Offi's popular Mod Lounger, also designed by Albin. Otto has been chosen as an honoree in Interior Design's 2013 Best of Year Awards!